An outstanding upright at an affordable price. A rich sound that pleases even professional pianists. The W.Hoffmann 126 Professional upright is made in Europe and delivers unique value for money. Developed to meet the expectations of professional pianists and integrating a high standard of craftsmanship, this piano stands out for its subtle voice and excellent touch. Thanks to the hammerheads’ special geometry and the new definition of the lever ratios within the action, the W.Hoffmann 126 Professional model boasts an elegant touch that charms both advanced amateurs and professional pianists. 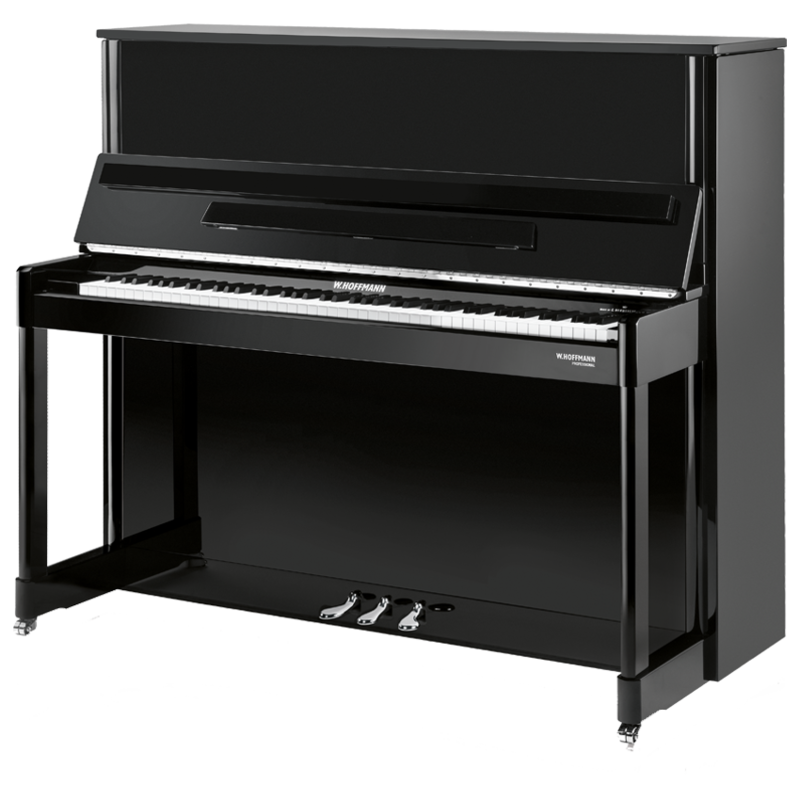 The W.Hoffmann 126 Professional upright piano can be equipped with the Bechstein Vario mute if you intend to play at any time, day or night. Compatible with tablets and notebooks, this digital device considerably enhances your pleasure in playing by allowing you to record yourself, or to accompany existing recordings. Be creative with the wealth of possibilities of the Bechstein Vario digital mute! Characteristics W.Hoffmann 126 Professional: an upright of professional quality made in Europe.